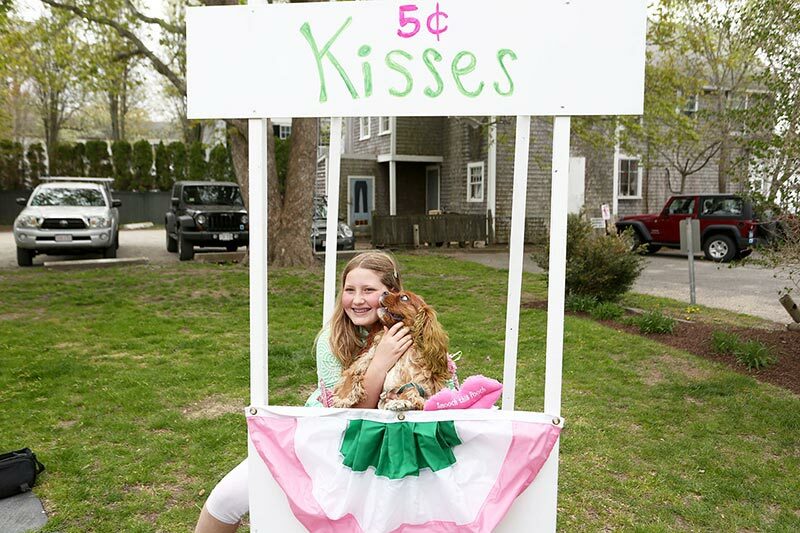 Who could resist pooches and kids? 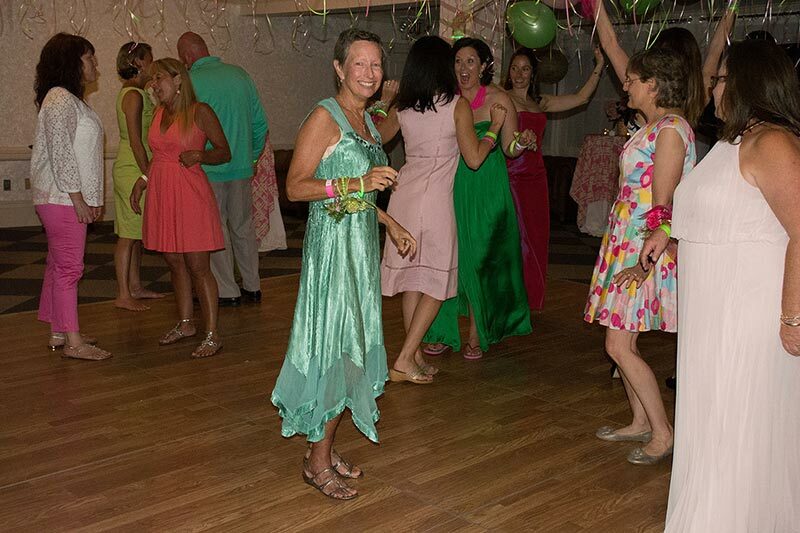 If this summer is half as fun as Pink & Green Weekend, we are in for a real treat. 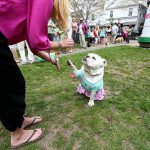 The three-day Edgartown celebration was full of special activities for all ages, and celebrated a very special holiday, Mother’s Day. 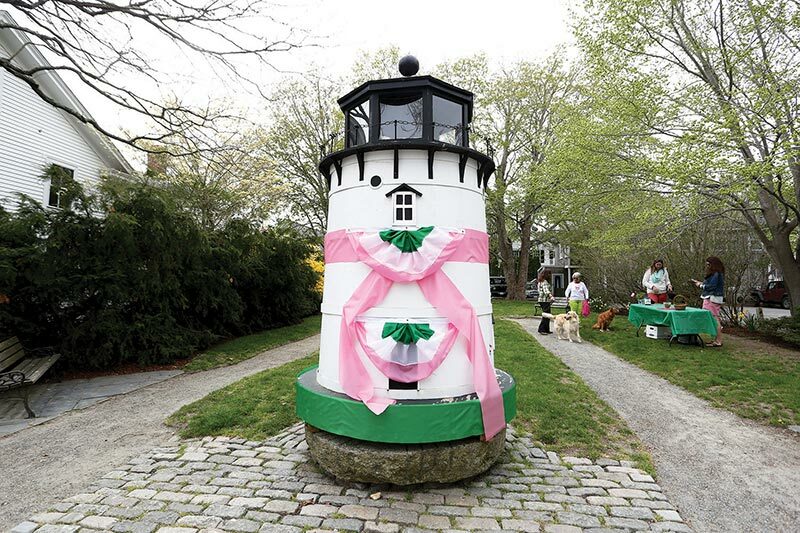 Janice K. Donaroma spearheaded the tradition of welcoming spring with a pink-and-green-themed event at her nursery in 2008, and in 2012 the Edgartown Board of Trade joined in the fun. The pink and green combination gained favorability in the Sixties when Jackie Kennedy, a woman known for her impeccable taste and for setting trends, wore a dress by Palm Beach designer (and her former Miss Porter’s and Chapin School classmate) Lilly Pulitzer, bringing attention and sales to the sleeveless shift dresses of colorful printed cotton. 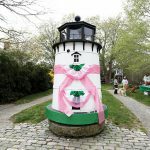 The Official Preppy Handbook, published in 1980, praised the pink and green combination, and named Edgartown as a preppy hot spot. 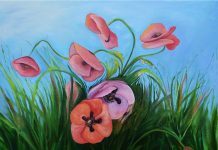 Janice Donaroma said the combination of colors reminded her of the happiness brought by sunny days. After our long winter, Edgartown’s festivities and decorations provided the perfect reprieve, reminding us all of the brighter days ahead of us. 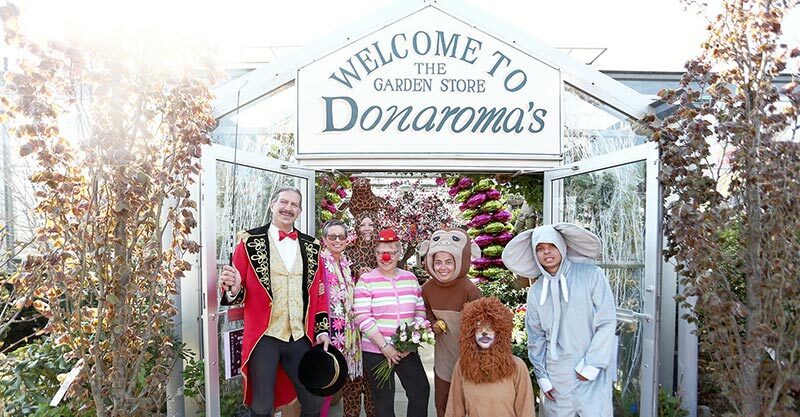 On Friday, Donorama’s nursery opened its doors with a Cirque du Pink and Green. People dressed in circus regalia greeted folks at the entrance. Guests ate popcorn; kids created crafts, and took home little plants as party favors. 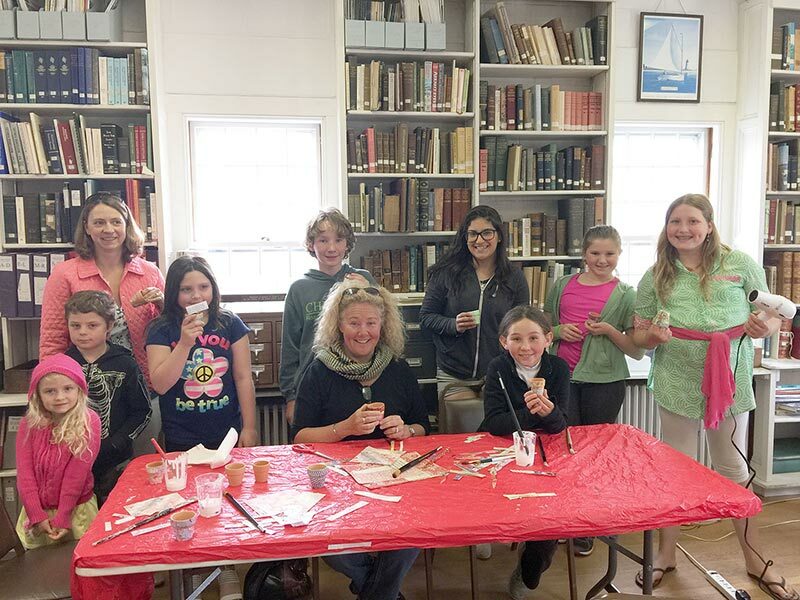 At the Martha’s Vineyard Museum on Saturday, Ally Reed and David Nathans welcomed kids, moms, and others. They offered beautiful Japanese paper to decoupage onto tiny pots in which to plant sage, parsley, and chive seedlings — great for Mother’s Day or a windowsill garden. 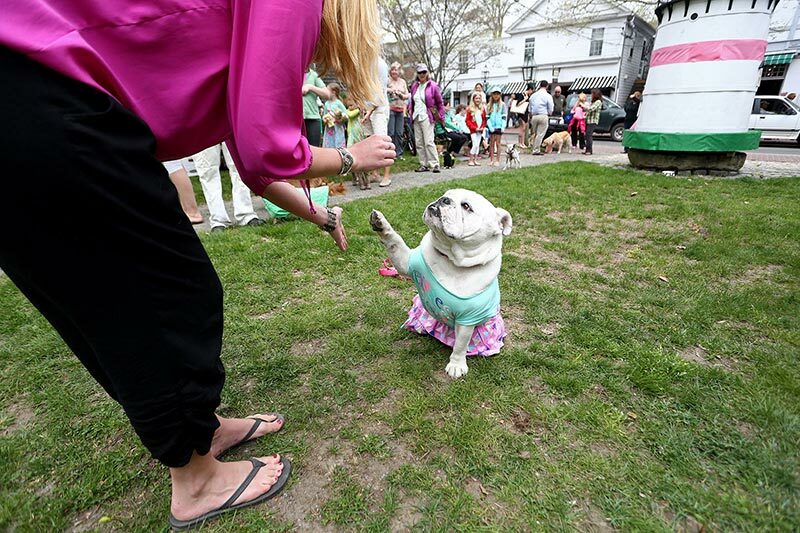 Then it was time for the dog show, which brought proud owners and their pooches properly dressed in pink and green attire. 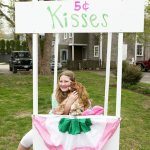 There was a pitbull in a tutu, puppies with their nails painted in pink and green, and a puppy kissing booth built by Alex Schweitzer. Ribbons were distributed for various categories including the fluffiest dog. 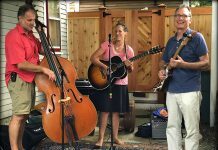 All proceeds of the event will be donated to the Animal Shelter of Martha’s Vineyard. 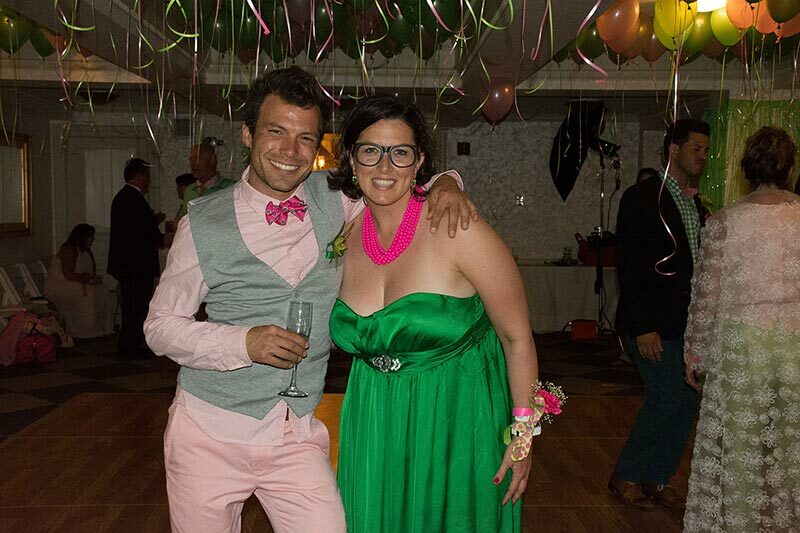 Saturday’s big event was the prom held at the Harbor View Hotel. It might have been the decorations, the ambiance, or the opportunity provided by MV Florist & Gifts to make a corsage by hand for one’s date, but it was a truly magical night. 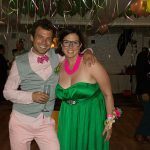 Many Edgartown store owners, restaurants, and photographers made generous donations to the event’s silent auction, including Isola, Atlantic Fish & Chop House, Hannah B., Vineyard Vines, and photographers Nicole Friedler and Bob Avakian. A portion of the proceeds will go to the Pink Squid Yacht Club, a charity that raises money for college scholarships. 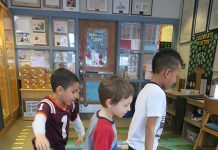 Attendees enjoyed buoyant conversation; DJ Rockwell played the latest hits along with some classics. 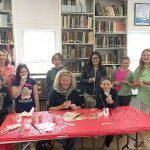 Hors d’oeuvres included sea scallops wrapped in bacon, hamburger sliders, chicken popsicles, noodles on chopsticks, and a complete cheese and fruit platter; Murdick’s fudge was placed in various spots around the Harbor View. 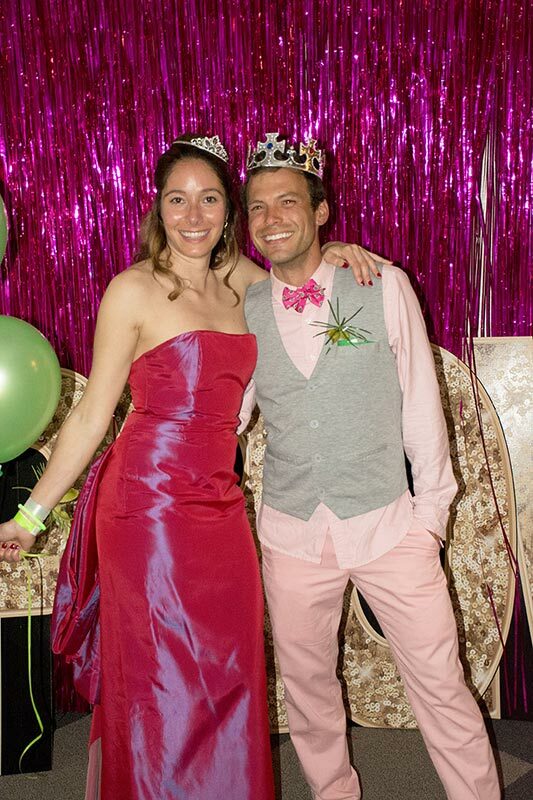 The greatest attraction of the night was the photo booth commanded by photographer David Welch, who provided lots of props for fun candids, giving everyone in attendance a chance to relive their glory days or a second chance at a prom picture. 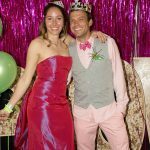 The winners of prom king and queen, who also posed for pictures, were Justin Lavigne and Doriana Klumick. The pictures are available for viewing on the Edgartown Board of Trade Facebook page. The night wound down at the Atlantic Fish & Chop House, where guests enjoyed a specially created Pink & Green cocktail — a martini made with Deep Eddy lemon-flavored vodka, Midori (Japanese melon liqueur), and a large cone-shaped pink lemonade ice cube.